Start of measurement at the touch of one button and display of measuring result within a few seconds. 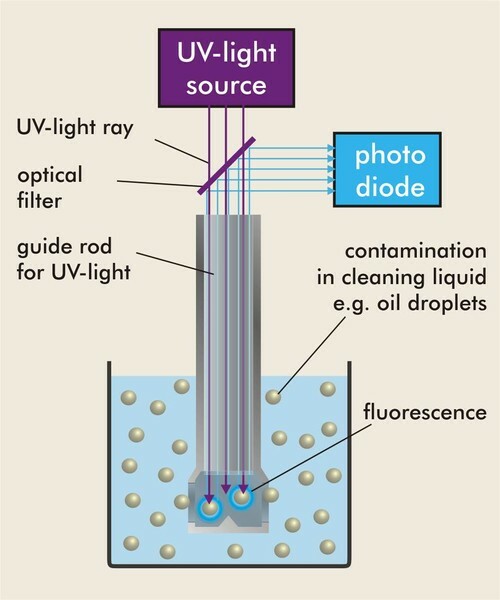 The SITA ConSpector detects the bath contamination such as oils and greases through their fluorescence which is excited by UV light of an LED in the sensor head. 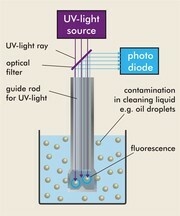 The UV light or fluorescence light is lead into the liquid by a light guide rod at the sensor head. A photodiode in the sensor head measures the fluorescence intensity. A high bath contamination leads to a high measuring value. Removing contamination off cleaning and rinsing bath in the industrial part cleaning industry ensures a long bath operation time and high parts cleanliness. 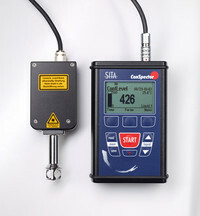 The SITA ConSpector can measure the bath contamination in cleaning and rinsing baths at the plant or in the laboratory. 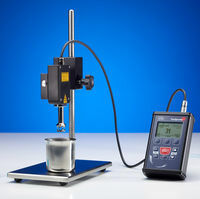 The measuring result is available within a few seconds. Sudden process disturbances such as the breakdown of the filter unit or a high increase of the contamination level in the bath can be immediately identified and resolved at the same time. Cleaning bath treatment measures can be carried out and controlled according to the application. The cleaning process can be carried out within allowed limit values leading to a reliable cleaning result. Controlling the rinsing steps with regard to the carry-over effect of contamination or cleaning chemicals avoids a further contamination of parts. Use the SITA ConSpector for your application!